Where has the time gone? Brooklyn will be 11 years old this year! This fourth grader loves cheerleading with the DSAGC Cheer Squad and dancing. She has participated in many events sponsored by DSAGC such as the iCan Bike Camp, the iCan Swim Camp, and summer tutoring just to name a few. Without DSAGC's resources and programs, she would not have some of these opportunities to explore and excel. The Buddy Walk is the largest fundraiser of the year for the DSAGC and provides 50% of the needed resources for the DSAGC to fulfill its mission. Every day meaningful strides are made to foster inclusion and to celebrate the lives of individuals with Down syndrome. 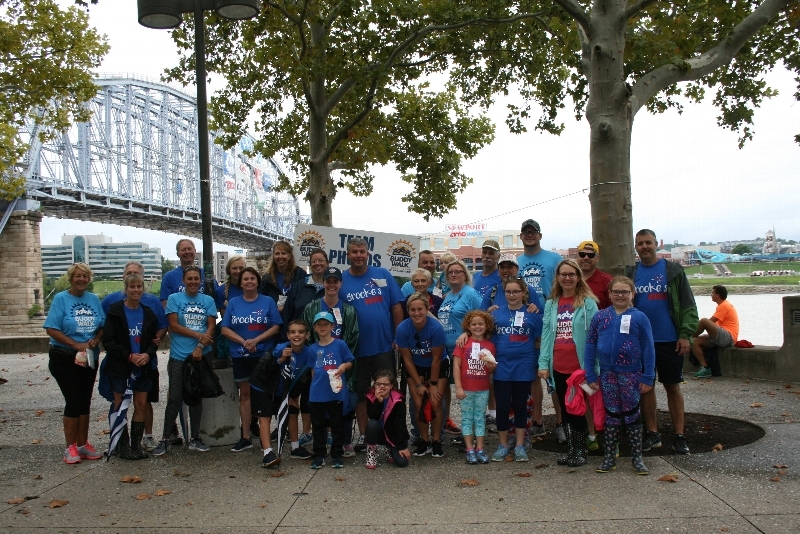 There is no better place to show your support than at Sawyer Point at the Annual Buddy Walk. Walk with us! Click the JOIN OUR TEAM button above to register. It's free to join! Can't make it to the Buddy Walk this year but would like to donate to our Team? It's easy, click the SUPPORT US button above and make a donation safely and securely online OR you can mail in a check to the DSAGC at 4623 Wesley Avenue, Suite A, Cincinnati, OH 45212. Be sure to include our Team Name (Brooke's Bunch) in the memo of the check.